The American writer Francis Marion Crawford was born on this day in 1854 in Bagni di Lucca in Tuscany. A prolific novelist, Crawford became known for the vividness of his characterisations and the realism of his settings, many of which were places he had visited in Italy. He chose to settle in later life in the coastal resort of Sorrento in Campania where he even had a street named after him, Corso Marion Crawford. Crawford was the only son of the American sculptor, Thomas Crawford. He spent his childhood going backwards and forwards between Italy and America and studied at various American and European Universities. 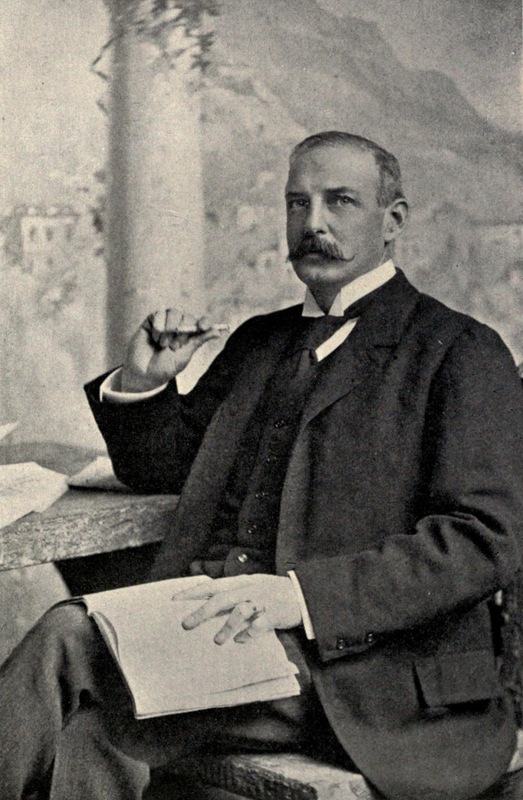 He spent some time in India where he found the inspiration for his first successful novel, Mr Isaacs, which was published in 1882. In 1883 he returned to Italy to settle there permanently. 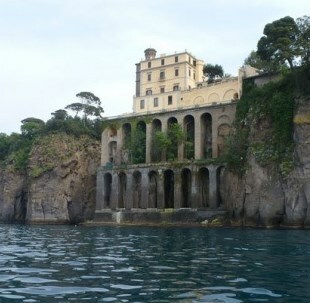 He lived at the Hotel Cocumella in the village of Sant’Agnello just outside Sorrento to begin with. He then bought a nearby farmhouse, from which he developed the Villa Crawford, an impressive clifftop residence easily identifiable from the sea by the tall buttresses Crawford added as a safeguard against erosion. He was married to Elizabeth Christophers Berdan, daughter of the American Civil War General, Hiram Berdan. They had two sons and two daughters, one of whom became a nun and lived at the Villa Crawford when it became a convent after her father's death. The Villa, which was donated to the order of the Daughters of Maria Ausiliatrice, has recently been refurbished as a guesthouse. Many of his later novels have Italian settings, such as Don Orsino, published in 1892, which is about the effects of social change on an Italian family. His novels sold in thousands in the United States, gaining him fame and prestige as a writer. He would often return to America to deliver lectures on Italian history, about which he wrote several books. He died at the Villa Crawford after suffering a heart attack in 1909. He was buried in the cemetery of Sant'Agnello. Bagni di Lucca, where Crawford was born, is a small town in Tuscany that became popular during the 19th century because of its thermal springs. For a while the town was the summer resort of Napoleon and his court and a casino and dance hall were built there. Elizabeth Barrett Browning and her husband, Robert Browning, spent their summers in Bagni di Lucca during their time in Italy in the 1840s and 1850s. The Corso Marion Crawford in the seaside resort of Sant’Agnello leads down to the sea from Corso Italia, the main road connecting Sant’Agnello with the resort of Sorrento. 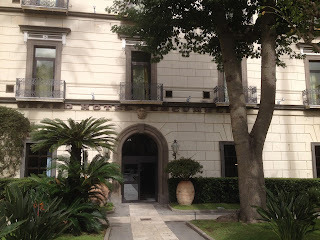 The historic Hotel Cocumella, where Crawford stayed during the 1880s, is in Via Cocumella, just off Corso Marion Crawford.